Unfortunately, this event was cancelled. 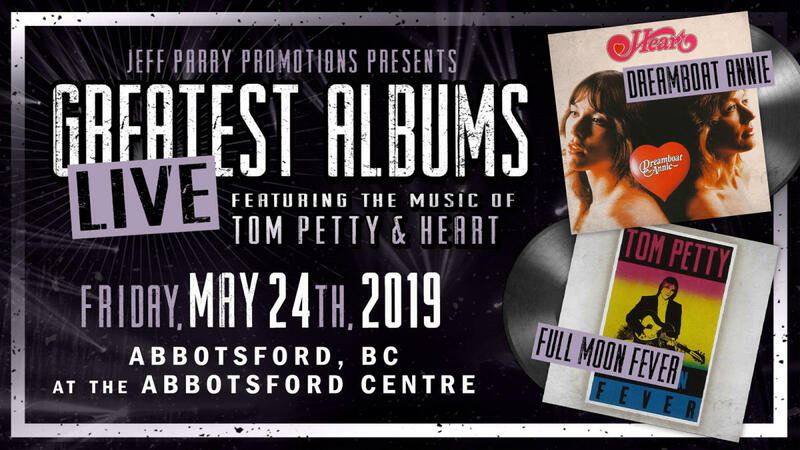 Due to unforeseen circumstances, the Greatest Albums Live, Music of Petty & Heart tour has been cancelled. 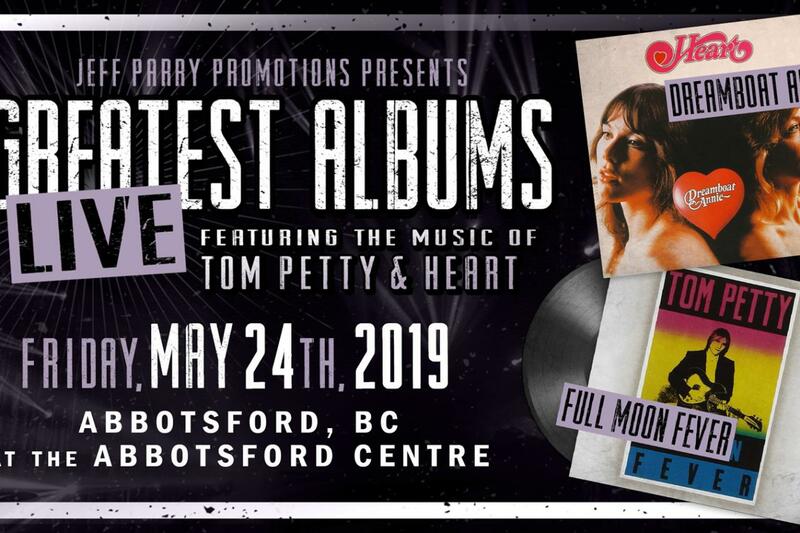 This includes the concert that was scheduled for May 24th at the Abbotsford Centre. Refunds are available at point of purchase and credit card purchases will be refunded automatically. The Abbotsford Centre Box Office is open Monday to Friday 9:00 am - 5:00pm.